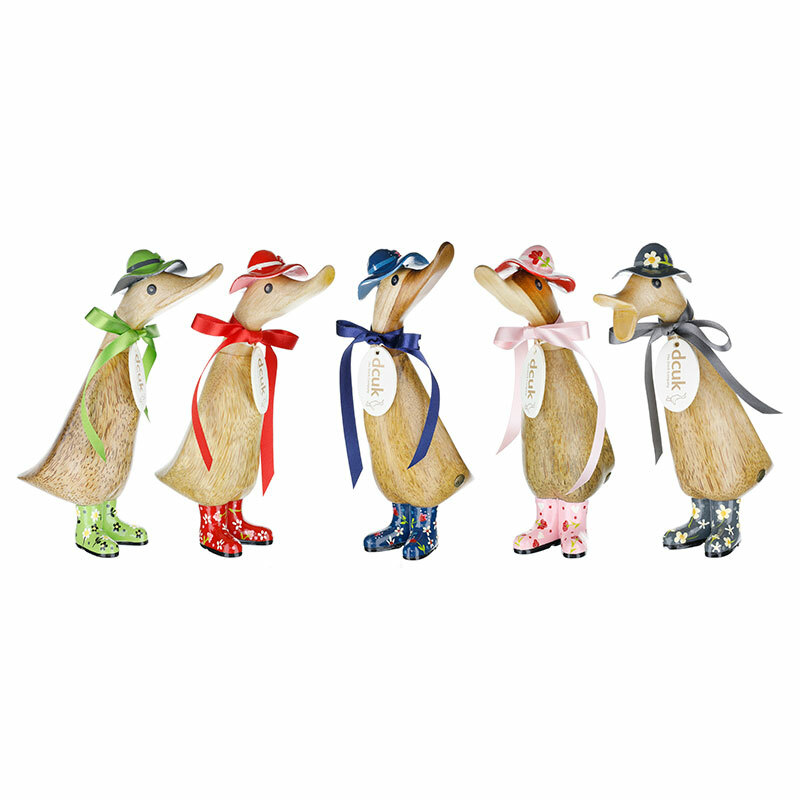 It’s all in the detail for these fair ladies whose co-ordinated bonnets and welly boots are embellished with prize-winning blooms. 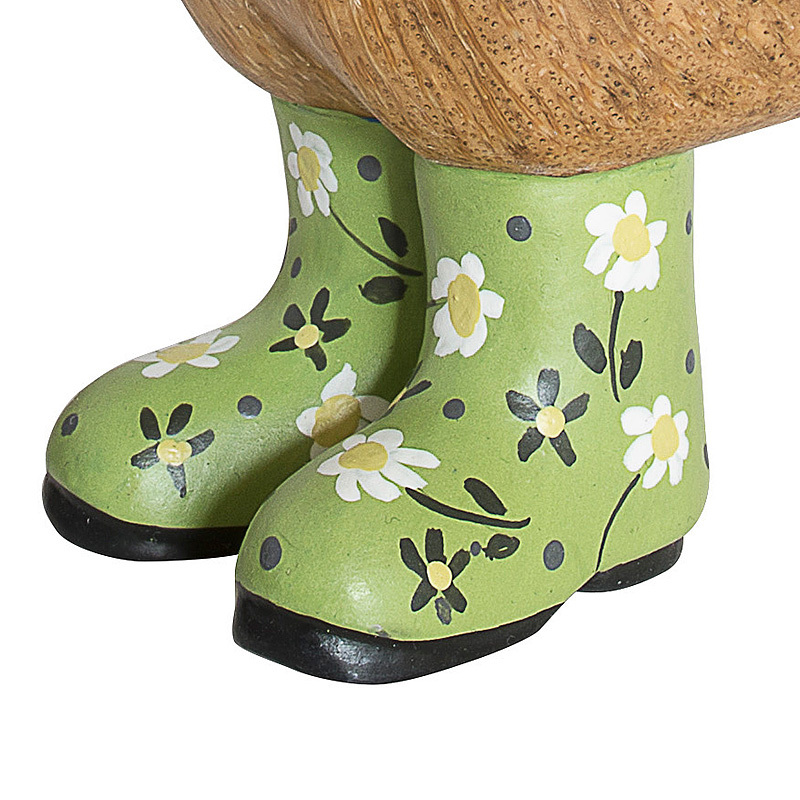 Pleasingly tactile, every glossy petal and stem is moulded and painted by hand, setting off the natural grain of our original wooden ducks. 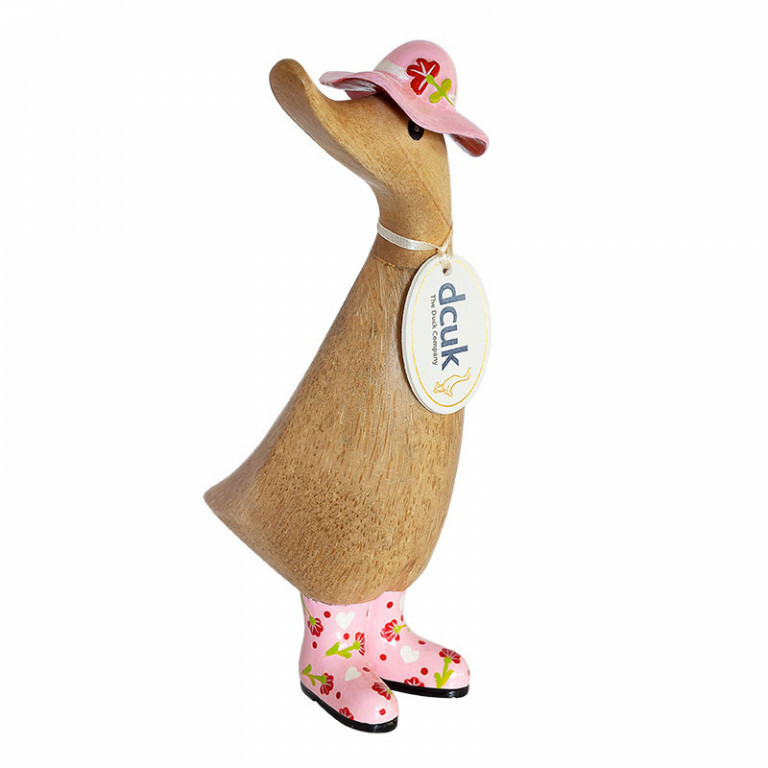 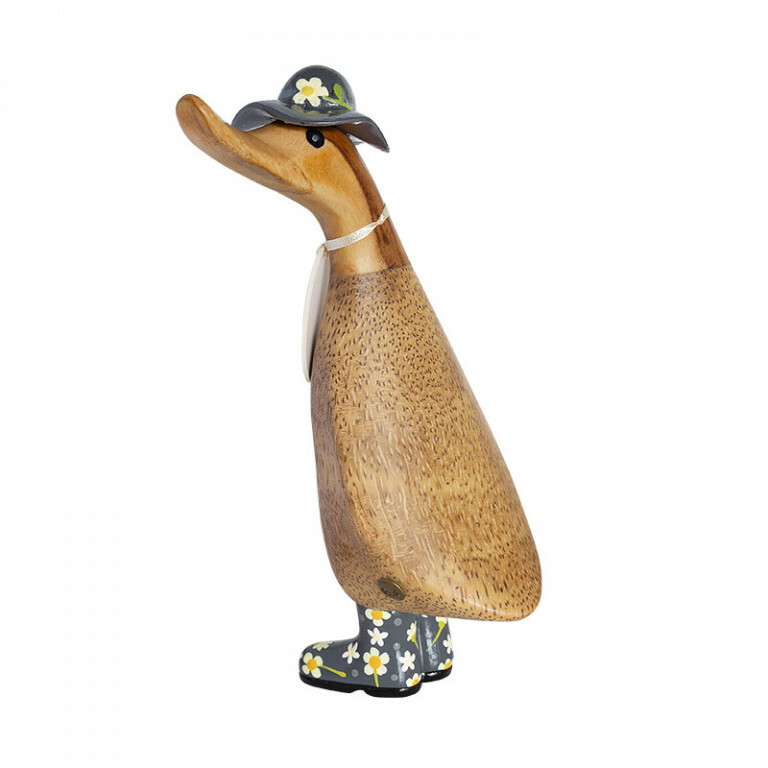 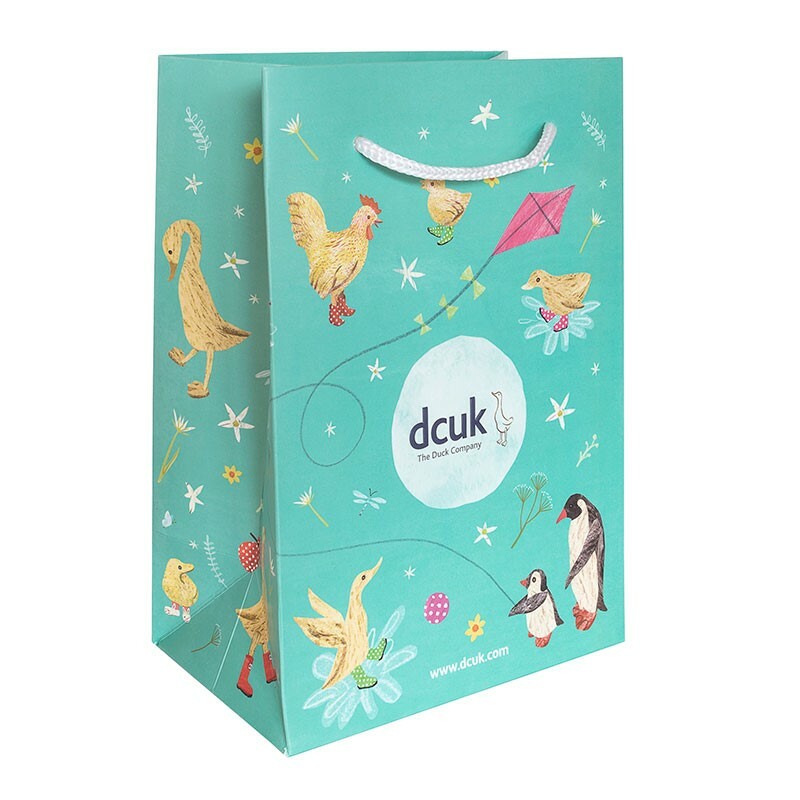 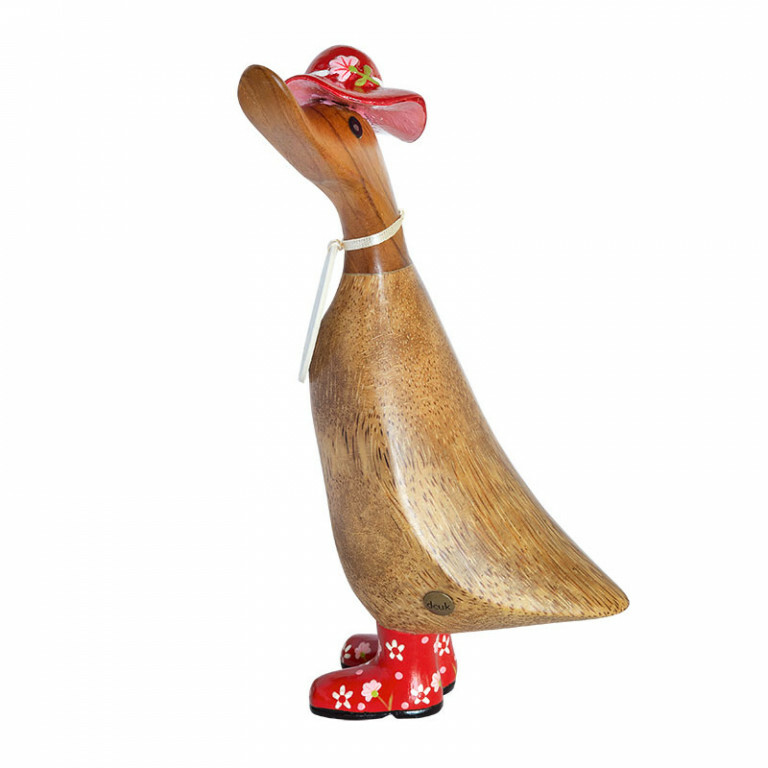 Dressed in five colourways to suit their distinct personalities, our Floral Ducks make thoughtful and lasting springtime gifts. 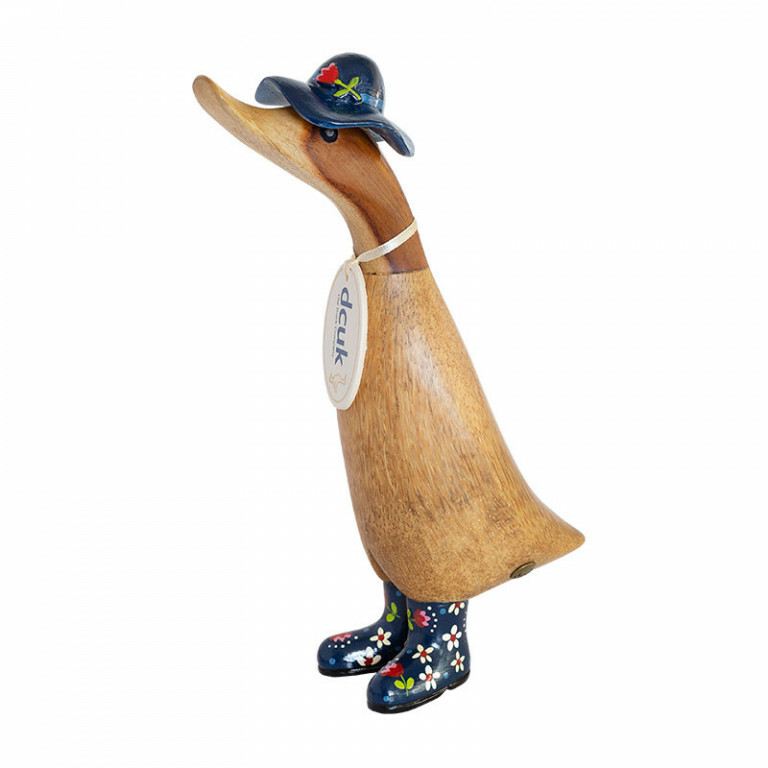 Stands approximately 18cm high and comes with a randomly selected name tag (unless personalised) Note: All text on tags is in lower case.